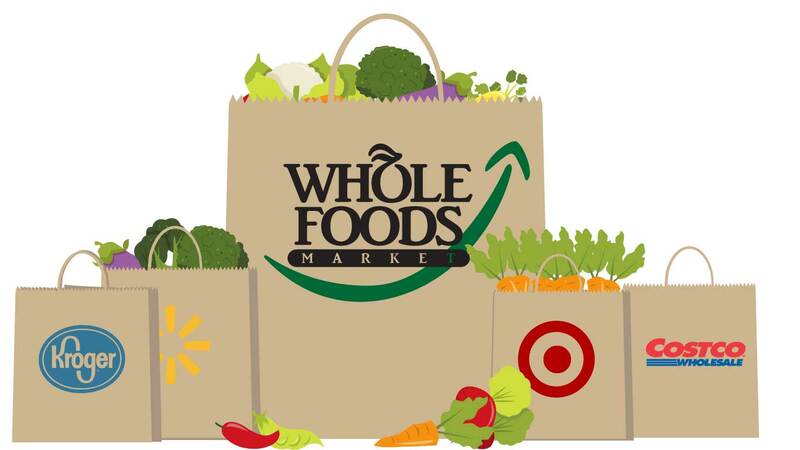 The acquisition of Whole Foods by Amazon today is a landmark event for the grocery industry. Think about it … In one $13.7 Billion transaction, Amazon’s market valuation went up by $14.27 Billion, and the combined valuation of Walmart, Kroger, Target and Costco went down by $23.63 Billion (as of 2pm CDT today) … and that does not represent 100% of the impact on the grocery industry! In one day, the grocery industry will have lost in market valuation twice what Amazon gained – probably over $30 Billion! For those who still doubted the disruptive power of Amazon on the traditional grocers, this massive shift of valuation should offer the ultimate proof point. Now the question is: What will the traditional grocers and their trading partners do to react to this acquisition? Obviously, what they have tried so far has not worked – or not worked well enough. It is time for traditional grocers and their eco-system to take drastic measures to combat Amazon. It is time to throw out the incremental thinking. It is time to realize that their current business model cannot survive with mere fine tuning. The grocery chains and their eco-systems will need to act swiftly, radically and decisively if they are to survive. They need to marshal execution in lock-step with their suppliers and other partners to radically improve agility and slash costs at the same time. This means the way they operate today needs to be re-invented around one keyword: Digitalization. They need to digitalize their entire business, from their store operations to their supply chain. How can grocers digitalize their supply chain? They need to abandon their enterprise-centric thinking and allow information to flow seamlessly across their entire network of suppliers, distributors and carriers to enable them to make real time optimized decisions. Why? Because sharing a single version of the truth across their network will enable them and their trading partners to synchronize demand and supply in real time – which in turn will deliver more velocity, less variability, greater efficiency, lower costs, and higher on shelf availability. How can grocers and their trading partners make this happen today? By joining a Consumer-Driven Supply Network! As today’s event illustrates, grocers cannot beat Amazon anymore by competing as an island! More than ever, they need to disrupt the disrupter. As soccer legend Pele said, “No individual can win a game by himself (or herself).” No grocery company can win by itself – not anymore. Grocery companies will need to disrupt the game and regain their leadership position by digitalizing their supply chain and leveraging a Consumer-Driven Network, which will deliver higher on shelf availability and service levels, with lower landed costs and lower inventories throughout the network. Joining a Consumer-Driven Network is not nice-to-have anymore. It has become a business imperative for the grocers to leverage the power of their network against Amazon, and start the journey back towards higher valuations! Bernard Goor is a deep expert in Retail and Consumer Goods with 8 years of executive positions in industry and 16 years in industry marketing, solution management and sales from the technology industry side. He is a thought leader in supply chain and consumer experience. He is dedicated and experienced in transforming Consumer Goods, Retail and Food Service businesses by enabling real time sense and respond capabilities that enable them to satisfy consumer demand 100% of the time at the lowest cost of fulfillment.